The mission of the Literacy Council of St. Petersburg is to provide free tutoring for adults who want to improve their literacy skills. Did you know that one in 10 adults in Pinellas County cannot read well enough to perform the every day tasks many of us take for granted? Tasks such as reading to a child, filling out a job application, or understanding medical information on a prescription bottle? The Literacy Council of St. Petersburg believes in teaching everyone to read and changing lives forever. We are so proud to announce “One in Ten” a one-act play written for the Literacy Council of St. Petersburg by local playwright, Andy Harrison. Charlie, a happily married man with a decent job, has been able to get by in life with his ingenuity. His wife, Elsa, works longer hours and worries about time lost with their young daughter. While Elsa waits anxiously for news about Charlie’s job promotion—and more money—something frightful happens that no amount of ingenuity can cover up. Andy Harrison’s one-act play is a mere snapshot of the many consequences of illiteracy. This local, aspiring playwright generously volunteered his time and talent for the project after being introduced to the pervasive problem by the The Literacy Council of St. Petersburg. The title reflects the number of adults nationwide who cannot read or write beyond a 3rd grade level. The play is a fundraiser for the Literacy Council of St. Petersburg and also a way to mark our 50th year of providing free tutors for adults with low literacy skills in our community. We are proud and honored to be a 2019 SunLit Festival event. Doors open at 6:30. The play begins at 7:00. Tickets may be purchased in advance or at the door. Seating is limited. 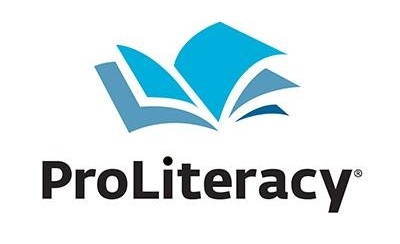 Founded in 1968, the Literacy Council of St. Petersburg is a non-profit 501(c)(3) dedicated to helping adults in our community through innovative learning programs and one-on-one instruction.